Mr. Akshay Kumar Singh has joined as Director (Pipelines) of Indian Oil Corporation (IndianOil), the country’s largest commercial enterprise and the top-ranked Indian corporate in Fortune’s ‘Global 500’ listing. 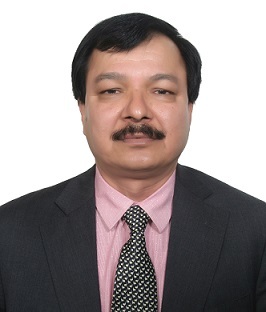 Earlier, he was Executive Director in GAIL (India) Ltd.
Mr. Singh will be in charge of IndianOil’s 13 400 km network of crude oil, petroleum product and gas pipelines with a throughput capacity of 94.79 million tpy of oil and 9.5 million m3/d of gas. With around 32 years of experience in the petroleum and natural gas sector, Mr. Singh has executed challenging, complex and mega-size cross-country pipeline projects with stiff time schedules and costs. He has substantive experience in design engineering, planning, execution, operations and maintenance streams of the hydrocarbons sector. Mr. Singh is a Mechanical Engineer with Masters in Turbo Machinery. IndianOil is a pioneer in cross-country petroleum pipelines in the country, and manages one of the world's largest oil pipeline networks. Projects currently under implementation would further increase the length of the network to approximately 20 000 km, and throughput capacity to 102 million tpy. IndianOil is currently operating City Gas Distribution (CGD) networks, offering CNG for vehicles and PNG for households, in 11 geographical areas (GA) through two joint ventures. In the recent CGD bidding round also IndianOil independently received authorisation for seven GAs and an additional nine through joint venture partners. With due emphasis being given to scaling up of natural gas pipelines, IndianOil is laying a 1244 km pipeline to reach LNG imported at Ennore near Chennai to Bengaluru as well as Nagapattinam, Tuticorin and Madurai in Tamil Nadu.